I promised transparency on the budget so I am adding this to the website. Participants should know that this is not an individual sponsoring the event but a non-profit organization. It’s really not about the money, although the club hopes to make a small profit and definitely not lose money in the first year of this event. Our main purpose is to keep a race to goal event going after the previous event organizers retired. I’m not taking any money personally to organize this event. It’s something I’m doing for the sport. 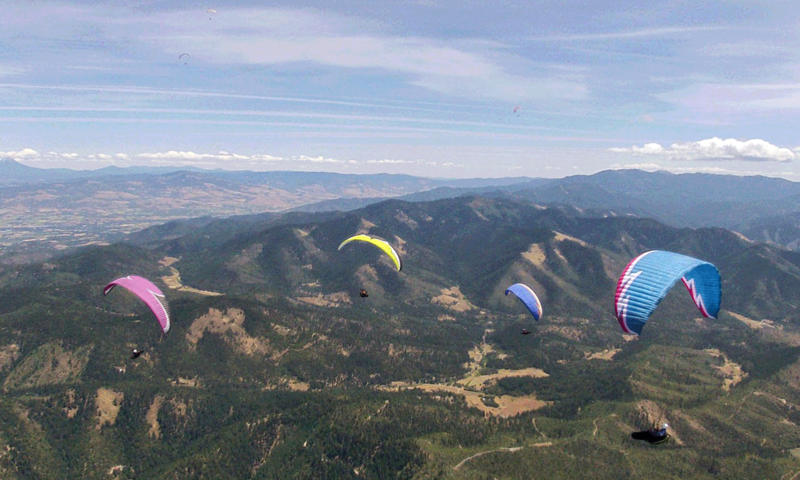 Any profit made will go to USHPA chapter 19, Rogue Valley Hang Gliding and Paragliding Association’s landing zone acquisition fund and for site improvements. This budget is based on having fewer than the maximum allowed pilots. The budget has 65 Open Race pilots, 65 Sprint Race pilots and 20 SuperClinic pilots for a total of 150 participants. Maximum we will allow is 180 if we fill both the Open and Sprint races. Fewer or more obviously affects the profit. With the Chelan Open competition running this year and this being a new event we really are not sure how many pilots will sign up. When the event is over and all the bills paid and I have another survey of the pilots who attended we can see what to do for 2019. I promise to make the “actuals” available when the event is over and all the bills are paid. Just a few notes for those comparing entry costs to previous year’s events and why our registration fees are not lower. Our fixed costs are being distributed over fewer pilots which drive registration costs up. The 2017 Rat Race had around 240 pilots and we are only expecting around 150 for the Applegate Open. We also have to contract for a venue and plan to rent vehicles where the previous event owned the venue and some vehicles. We also had to hire a meet director. I could go on comparing costs but the point is we are trying to provide a venue and experience similar to past events at Woodrat Mt. and it’s costing us some extra money to do so. 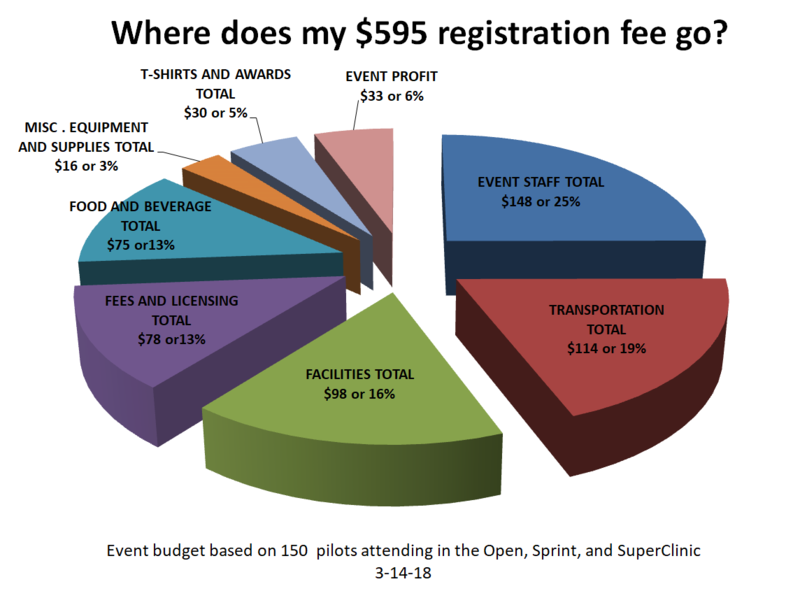 So here are the budgeted costs and profit as well as a pie chart that shows how a $595 registration fee breaks down in covering those costs.